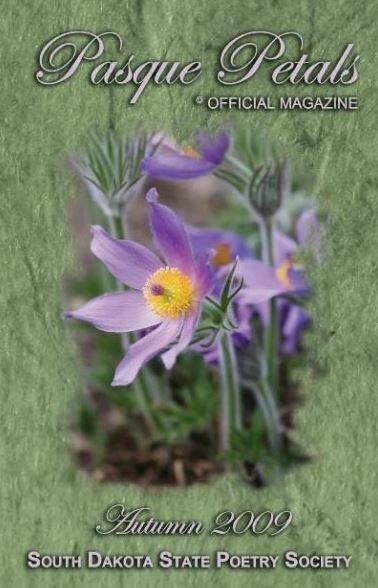 Pasque Petals, the official literary magazine of the South Dakota Poetry Society, was launched in 1970 and is the oldest poetry journal in continuous publication in the National Federation of State Poetry Societies. This official literary magazine has grown from a mimeographed monthly publication to two annual professionally-printed editions that exhibit a wide swath of writers who use various genres to express their regional imagery and ideas. To submit, please send your poetry within the body of an email to Editor Christine Stewart at pasque.petals@gmail.com by February 1 for the Spring issue and August 1 for the Fall issue.